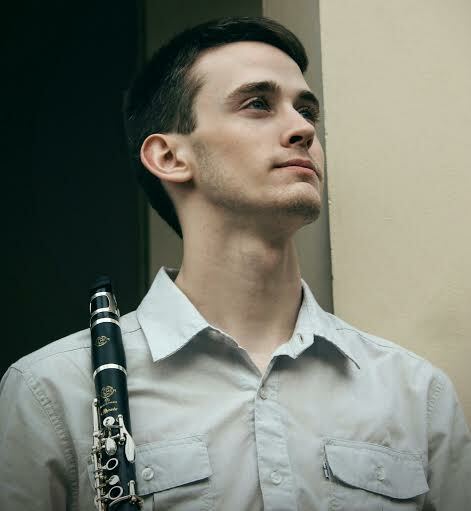 Robert Mitchell, sophomore at the Sacramento State School of Music, has been playing clarinet since age 10. He has developed a wide musical background through playing in local musical productions and a local swing band, where he exercises his expertise on saxophone and flute. He has offered private lessons to students since the age of 16, as well as group lessons for McClatchy High School and a clinic/mentoring for the California Youth Symphony Wind Ensemble II clarinet section. In July 2015, Robert traveled to Italy as a participant of the Interharmony International Music Festival. Robert plans to further his performing career in graduate school. In the meantime, he will continue to broaden his music resume with more performing and teaching gigs, whilst maintaining the principal clarinet chairs in the University Wind Ensemble, Orchestra, and Golden State Wind Orchestra.